What advice do you have for couples thinking about hiring a wedding magician? “Well first of all, and most importantly, you need to make sure that your magician is accredited and has membership of recognised professional bodies such as: The Magic Circle, The International Brotherhood of Magicians or Equity. Hiring a band for a wedding? Top tips. Thinking about having the ivories tinkled on your wedding day? Piano music provides an evocative backdrop for your guests as they gather for the ceremony and is the perfect accompaniment for any wedding breakfast. StarTurn interviews its premier pianist, Sue Busby and picks her brain on her top tips to turn your wedding day from a good time to a great time…..
StarTurn interviews its newest artist, leading international cockney entertainer, Gordon Bennett, This is Gordon’s busiest time of year, the period around, and including, St Georges Day – 23rd April. People all over the world become strangely nostalgic and patriotic for things English. They often love to have a good old sing-along and knee’s up too, and who better than Gordon to lead them and get the audience involved. If you want to book cockney entertainment for your St George’s day celebrations then you’d need to book Gordon at least a year in advance. Although any time is a celebration with Gordon Bennett! Very few days in your life will be as thought through as your wedding day. From the time, and how, you will arrive at the chosen ceremony venue, to the formations for the photographs, the food and decorations on the table, through to the honeymoon night and transfers to your honeymoon holiday. The forward planning that goes into your big day is phenomenal and often as intense as planning a military campaign! A major challenge, not to forget, and with so many guests to consider, is entertainment that will suit everyone’s taste, and fit the theme of your day. Getting this right takes some doing! Please watch until the end when you’ll see the dove of peace flying by the dome, although it was probably a pigeon! Here’s to a peaceful, healthy, happy and prosperous New Year – see you in 2011. Steel Yourself – it’s Christmas! 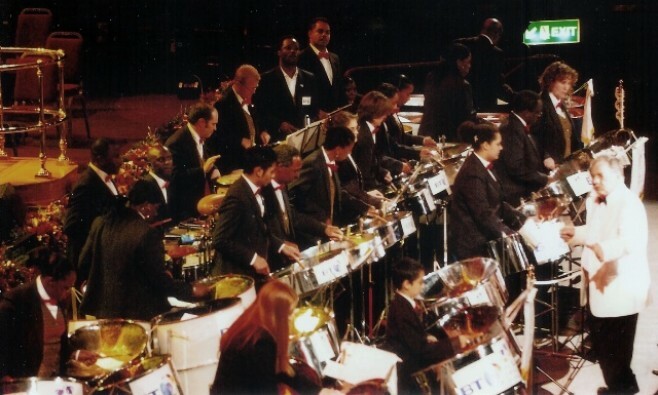 A steel band isn’t just for the summer! It seemed slightly incongruous, on a cold December evening, to be heading off to Norwood, London, to listen to a steel band – well a steel orchestra to be precise! Shouldn’t I be wearing cool Caribbean garb instead of winter clothes? We’ve lost count of the number of times we’ve hidden Elvis! Why would you use an entertainment agency like StarTurn to find and book artists? Isn’t it going to cost you less to book direct? Well not necessarily. An agency usually negotiates good prices for you and provides extra safeguards you may not even have considered, plus you get heaps of free advice!